It goes without saying that so many moms go through their days with hardly any time for themselves between taking care of the kids, the house, the laundry and maybe even a job or volunteer work. It would be so nice to be able to take an afternoon at the spa for some pampering, but many of us don’t have either the time or the money to do that. That’s why it’s such a nice idea to make up a batch of this Lemon Basil Sugar Scrub to treat yourself to a spa-like experience during those few minutes in the shower in the mornings! While it may sounds like a complicated recipe to put together, in reality, it couldn’t be easier to make! All you need is a few minutes and some simple ingredients from your kitchen. Please note, this post contains affiliate links. To being, gather together the following ingredients: granulated sugar, coconut oil, lemon essential oil, basil flavoring, and vitamin E oil. The coconut oil acts as a great moisturizer, while the sugar helps to scrub off any dead skin cells that are making your skin feel rough. The vitamin E oil also helps to keep your skin moisturized, and the lemon and basil oils help to refresh and energize you to help you get going in the mornings. 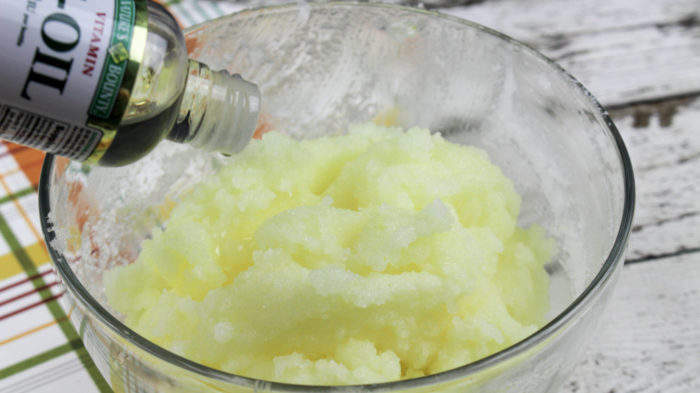 To 1 cup of sugar, you’ll want to add 1/2 cup of coconut oil, 8-10 drops of lemon oil, 2-3 drops of the basil flavoring, and 2-3 drops of yellow food coloring, which is optional. 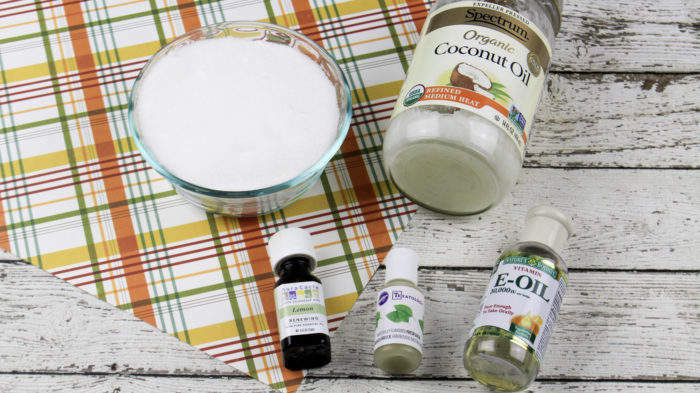 Mix the sugar and oils together until well mixed, then add 4-5 drops of the vitamin E oil. Mix again until everything is well blended. Transfer the sugar scrub to an airtight container…a glass jar is pretty, especially if you’ll be giving the scrub as a gift. This scrub will last up to 3 months. To use, simply apply a generous amount to wet skin in the shower or bath, and massage in a circular motion in order to exfoliate the skin. Rinse well. 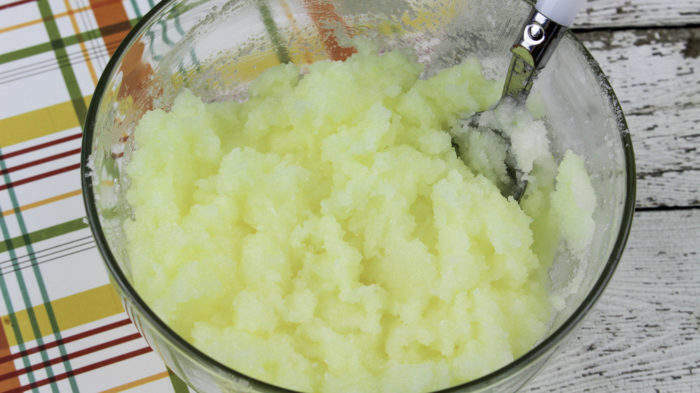 In a medium mixing bowl, add the sugar, food coloring (if using) and coconut oil. Stir until well blended. Add the lemon essential oil and fresh basil flavoring. Mix until well incorporated. 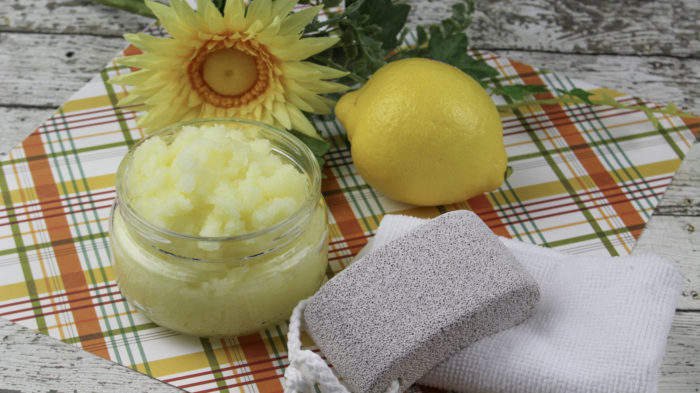 Pour 4-5 drops of Vitamin E oil into the scrub and mix well. Transfer to an airtight container and store up to 3 months. 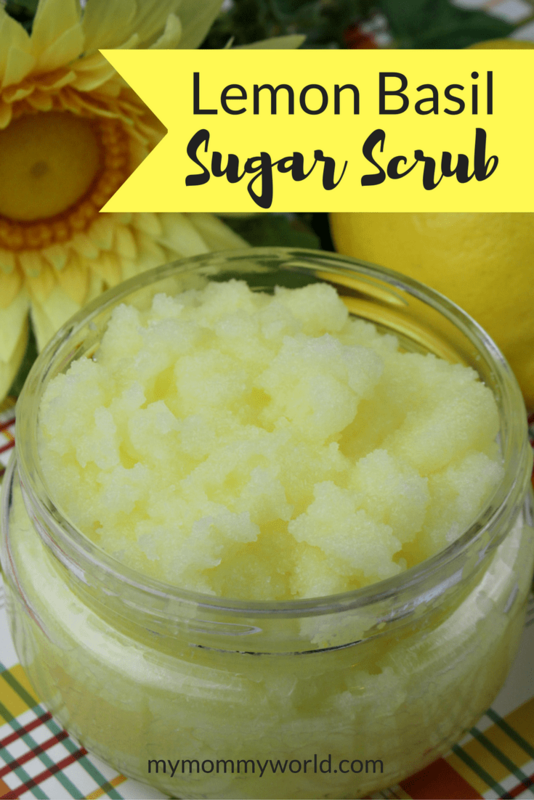 I hope you’ll try making this energizing Lemon Basil Sugar Scrub for yourself and for all your family and friends! 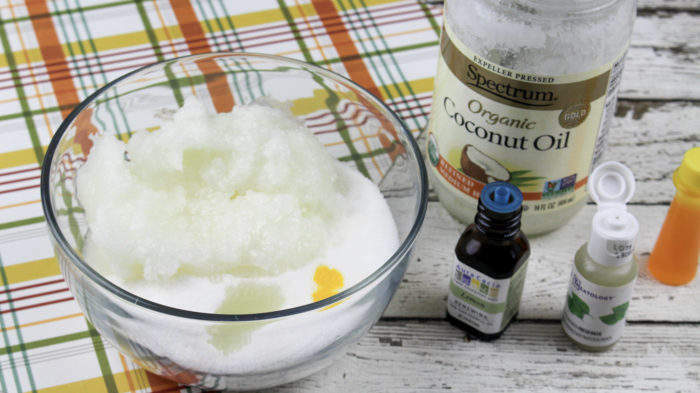 I love making sugar scrubs and this one sounds like it would smell so good.